Hamrick Software, the developer of VueScan, the world's most widely used scanning software, has added support for 57 Canon imageFORMULA document scanners. 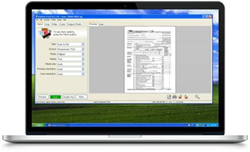 Hamrick Software, the developer of VueScan, the world's most widely used scanning software, has released its latest version 9.5.47 – which includes support for 57 Canon imageFORMULA document scanners. VueScan now supports over 2900 scanners from 35 manufacturers – in a combination of 3 operating systems, Windows, Mac OS X and Linux. VueScan is easy to use for both beginners and professional users. Beginners only need to run VueScan and press the 'Scan' button. Pro users can change to either the 'Standard' or 'Professional' options to unlock powerful features to have complete control over their scans. VueScan also offers a full range of advanced features; including batch scanning and multi-page PDF output, options for scanning faded slides and prints (and automatically adjusting images to optimum color balance that reduces the need to manually do it in Photoshop.) VueScan also includes built-in IT8 color calibration of scanners, producing colors that look true to life, and other advanced and powerful scanning and productivity features. VueScan is available in two editions, Standard Edition ($49.95 USD) and Professional Edition ($79.95). The Professional Edition supports film scanning, adds unlimited free upgrades, advanced IT8 color calibration and support for raw scan files. Multi-user licenses are available. Both versions offer an easy to use one-stop ‘Scan’ button. Based in Miami, FL, Hamrick Software was founded in 1991. Its first product was VuePrint, an easy to use JPEG viewer for Windows that for many years was the recommended image viewer for AOL, with more than 100,000 users. In 1998, the company first released VueScan, a program for scanning with flatbed and film scanners, there are now more than 500,000 users all over the world with VueScan supporting over 2900 scanners.